Help us protect consumers from faulty, unsafe, illegal contracting! Arizona Revised Statutes, Title 32, Chapter 10 requires a contractor be licensed through the Registrar of Contractors (ROC) to legally perform construction or home repair and remodeling jobs having total project cost, including labor and materials, above $1,000 or requiring a building permit. Unlicensed contractors can endanger the health, safety and welfare of the public. WARNING: Only professional law enforcement personnel should attempt to apprehend these individuals. Buckeye, Cave Creek, Chandler, Glendale, Mesa, Phoenix and Waddell. 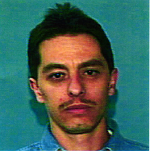 Covarrubias, Jr. is wanted on charges filed by the Maricopa County Attorney’s Office including Theft, a Class 5 Felony; Taking Identity of Another, a Class 4 Felony; and Contracting Without a License, a Class 1 Misdemeanor in the Maricopa County Superior Court. The charges stemmed from an AZ ROC investigation that found that Covarrubias took $2,000 from a 72 and 90 year old couple in Buckeye for a landscaping project that was never started. Covarrubias, Jr. is also wanted on several (3) Failures to Appear in justice courts from 2017 and 2018. All three cases stem from AZ ROC investigations. If so, contact your local law enforcement and submit the information to the ROC via the Tips Hotline Form or by phone. 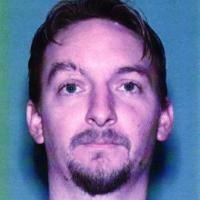 Joseph Wharton II has an outstanding warrant in Maricopa county. 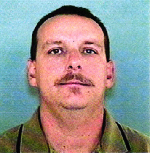 He has been known to target the elderly and solicits contracting jobs by knocking on doors and giving a false name. He will perform unnecessary work such as applying a roof sealant. 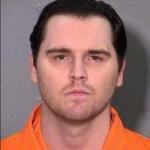 He will continue to increase the agreed upon price of work as long as he can obtain additional money from his victims. Patrick Callahan takes thousands of dollars in advance, fails to produce any of the materials and then abandons the job. He has targeted the elderly with this type of contracting scam. One active warrant charging conditional release violation. Robert Green is well known to the ROC. From 2014 to 2016, the Agency received and investigated six complaints against Green. According to the complaints, homeowners assumed he was licensed based on his professional-looking website and gave him a combined $87,230. In each of the complaints, he collected money and performed little to no work before disappearing. 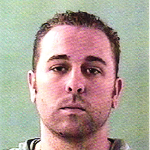 Mr. La Chance will be booked into the Maricopa County Sheriff’s Office Fourth Avenue jail, on not only the felony warrant originating from the Paradise Valley case, but also two misdemeanor warrants for contracting without a license, and failure to pay on a contracting violation which originated from AZ ROC’s investigations into unrelated criminal cases, the police said. In August of 2015, the Paradise Valley Police Department began investigating a complaint in which a resident reported that she had entered into an agreement with Paul La Chance dba Murray and Sons Construction to have nearly $60,000 worth of landscaping work done at her residence. To begin work, the resident presented a check for $15,000 to Mr. La Chance which was subsequently cashed. A short time later, but before the work project began, the resident and Mr. La Chance agreed to cancel the contract and return the $15,000 deposit. The complaint was received because no work was performed and the deposit money was never returned. The Paradise Valley Criminal Investigations Unit (CIU) began working hand in hand with the Arizona Registrar of Contractors (AZ ROC) and learned that Mr. La Chance had a long history of complaints with AZ ROC for unlicensed activity, poor workmanship, and failure to make repairs. We also learned that the contracting license for Murry and Sons Construction was suspended at the time this contract was entered into. The joint investigation between CIU and AZ ROC resulted in a felony theft warrant being issued for the arrest of Mr. La Chance. 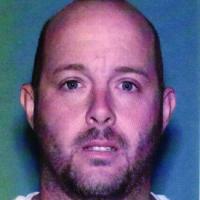 John Parks targets elderly victims, knocking on doors to solicit his victims. He extracts large amounts of money over extended time periods doing minimal work such as only applying a sealant to a roof. AZ ROC investigated 36 cases against Servellon since 2006 and, in 2015 alone, the Registrar investigated nine cases and submitted eight of them to the Arizona Attorney General’s Office for prosecution. In those eight cases submitted for prosecution, AZ ROC Investigators found Servellon illegally contracted with homeowners for bathroom and kitchen countertop remodeling projects totaling $28,975. In total, homeowners – from Chandler, Gilbert, Pinetop-Lakeside, Mesa, Phoenix, Queen Creek and Tempe - paid $23,810 on the contracted-for price and Servellon, in exchange, performed little to no work. In June 2018, Heilbrun pleaded guilty to two counts of Fraud, a Class 2 Felony in the Maricopa County Superior Court. He was sentenced to two years of probation and $14,000 in restitution. 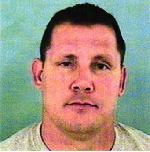 In May 2017, Heilbrun pleaded guilty to Attempting to Contract Without a License, a Class 1 Misdemeanor, in the Kyrene Justice Court. He was sentenced with a $250 fine and $2,600 in restitution to the victim. Heilbrun was a licensed contractor until 2012. Between 2015 and 2016, the AZ ROC investigated three complaints against Heilbrun, alleging that he operated illegally as an unlicensed entity taking large amounts of money up-front. Heilbrun for contracted for amounts totaling $73,794.08. Of those contract amounts, homeowners paid $29,800 and Heilbrun abandoned each of the jobs. 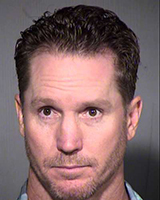 In August 2018, Lance Wills pleaded guilty to Theft, a Class 3 Felony in the Maricopa County Superior Court. In November 2018 he was sentenced to 12 months in the county jail and five years of supervised probation. Between 2012 and 2018, the AZ ROC investigated 18 complaints against Wills. He was known to take large amounts of cash up front and during the construction process asks for additional cash payments. Once his victims stop giving him money, he does not return calls and abandoned the job. 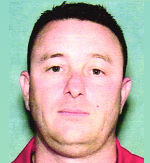 In November 2017, Michael R. Peterson pleaded guilty to Contracting Without a License, a Class 1 Misdemeanor in the Maricopa County Superior Court. He was sentenced to two years of probation and ordered to pay $6,500 in restitution to the victim. Michael R. Peterson works under the name Peterson Millwork and Design, LLC and takes money up-front while illegally contracting without a license. He then fails to produce paid-for materials and fails to perform any work. From 2014 to 2016, the ROC received three complaints against Peterson. In the complaint submitted for prosecution, he is accused of taking $6,500 without performing any work. 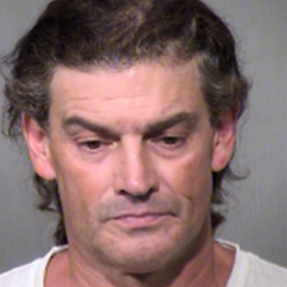 In September 2017, Bogdan "Bo" Craciunescu pleaded guilty to Theft, a Class 3 Felony, in the Maricopa County Superior Court. He was sentenced to pay a combined total of $11,793 in restitution to two victims and three years of probation. 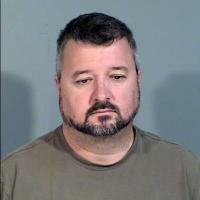 Bo Craciunescu is an unlicensed entity and has victimized people in Maricopa County by taking large amounts of money up front for contracting jobs and then failing to produce material he says he purchased and abandoning jobs. In April 2017, Steven Shane Salyers pleaded guilty to Theft, a Class 5 Felony in the Maricopa County Justice Court. He was sentenced to pay the victim $2,500 in restitution. In July 2017, Salyers pleaded guilty to Theft, a Class 4 Felony in the Maricopa County Justice Court. He was sentenced to 45 days in the county jail with two years of probation to follow. He was also ordered to pay $17,000 in restitution to the victim. Steven Salyers has contracted without a license for the past several years. 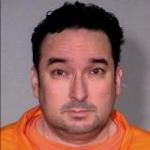 He has conned victims out of very large sums of money, totaling over six figures. He produces very few materials and abandons the job once the victims stop paying. Several victims have lost over $50,000.00 to Salyers. 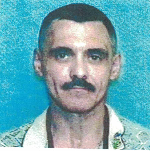 He is wanted for the felony charge of Fraudulent schemes. In April 2018, Keith Edward Benevento pleaded guilty to two counts of Contracting Without a License, a Class 1 Misdemeanor. He was sentenced to pay $4,100 in restitution. Keith Benevento has contracted without a license. He has been known to take large sums of money from the elderly without producing any work. In September 2016, Ordonez pleaded guilty to Theft, a Class 6 Felony. He was sentenced to 3 years of supervised probation and ordered to pay a total of $10,910 in restitution to two victims. Juan Ordonez contracts with his victims to do roofing jobs. He takes thousands of dollars up front, never produces any material and then abandons the jobs. In March 2017, Filiberto Jose Ramos pleaded guilty to Taking Identity of Another, a Class 4 Felony in the Maricopa County Superior Court. He was sentenced to pay a total of $18,350 in restitution to two victims, four years of probation, and 30 days in the county jail beginning in August 2017. 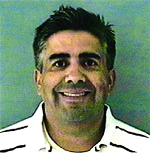 Filiberto Ramos operates statewide in Arizona. He has stolen large amounts of cash from victims by means of contracting scams. 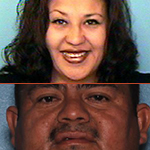 In December 2017, Rafaela pleaded guilty to Theft, a Class 4 Felony and Hugo pleaded guilty to Criminal Damage, a Class 4 Felony, in the Maricopa County Superior Court. In February of 2018 they were both sentenced to 3 years of probation. The Agency received and investigated 11 complaints against the couple between 2010 and 2016. During this time, the money paid by consumers to these two unlicensed entities is alleged to total $138,100. The contracted-for work typically involves landscaping and the couple is known to work in Sun City, Sun City West, and Sun City Grand areas. A person commits a Class 1 Misdemeanor by (1) advertising to perform services that require a contractor’s license, and/or (2) acting in the capacity of a contractor without a license. As required by A.R.S. § 32-1151.02, Click HERE to see a list of persons who have been convicted of contracting without a license, or administratively adjudicated to have been contracting without a license after having been issued a civil citation.